Ships tomorrow if you order in the next 22 hours 6 minutes. Auto Ship & Earn + 160 Points What's this? 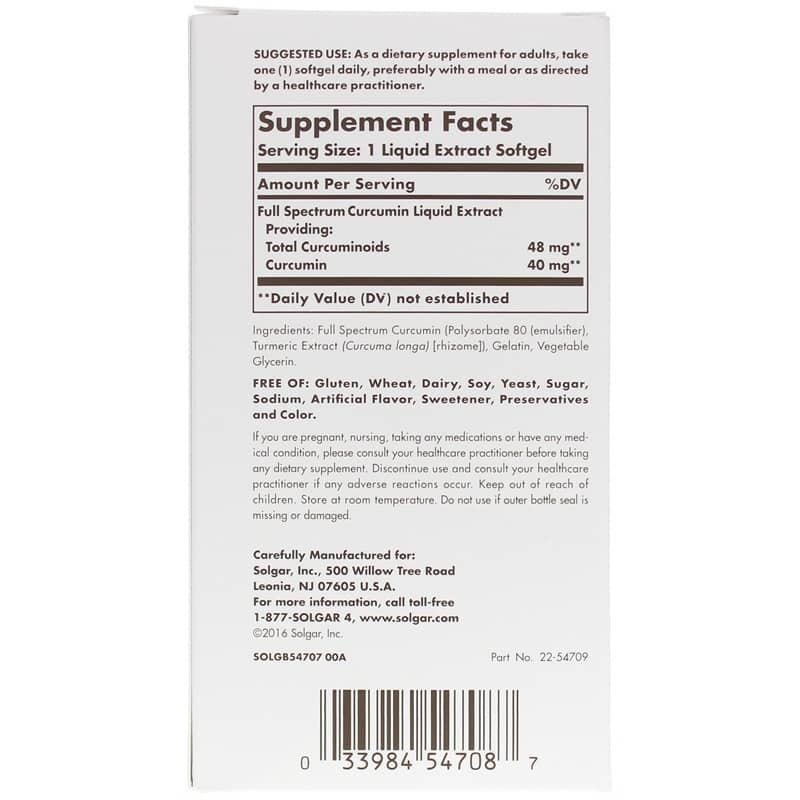 Full Spectrum Curcumin from Solgar is a dietary supplement that offers a liquid extract that yields 48 mg of curcuminoids and 40 mg curcumin, which is believed to offer 185 times greater bioavailability when compared to some similar formulas. This is possible as a result of the innovative new process that transforms curcumin from a fat-soluble compound to a water-soluble phytonutrient. 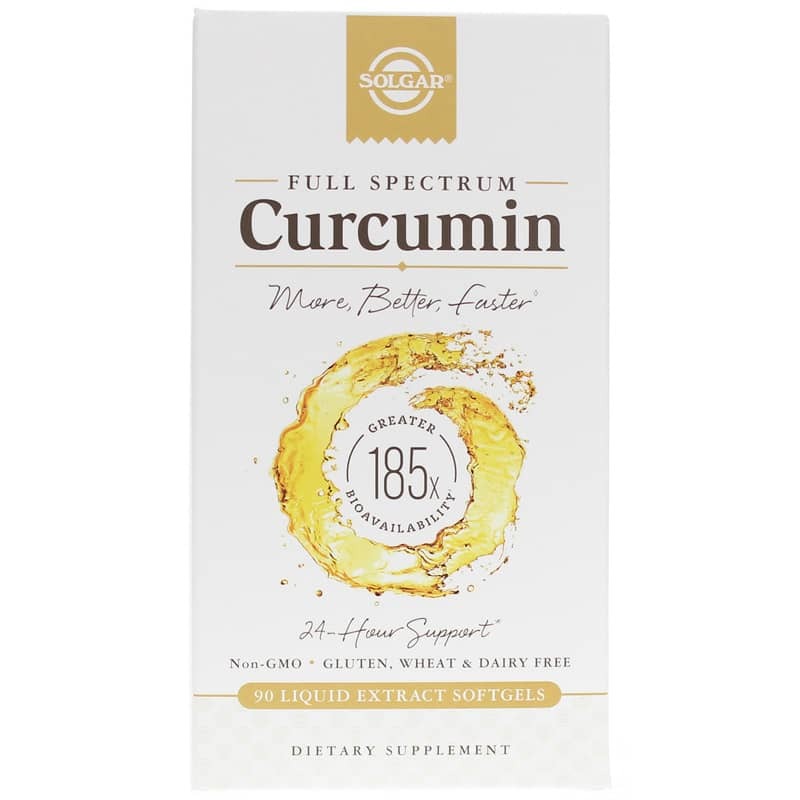 This process allows the potentially beneficial compound in curcumin to absorb immediately for support of a healthy brain, joints, and immune system. Curcumin is a natural phenol that is found in the rhizome of the turmeric plant. When processed, curcumin has a distinct orange-yellow color that is the result of its phenol content. In general, phenols are compounds found in plants that are partly responsible for the coloring of leaves and flowers. They also act as a kind of antioxidant that helps maintain the health of plants when exposed to ultraviolet light, insects, and microbial challenges. 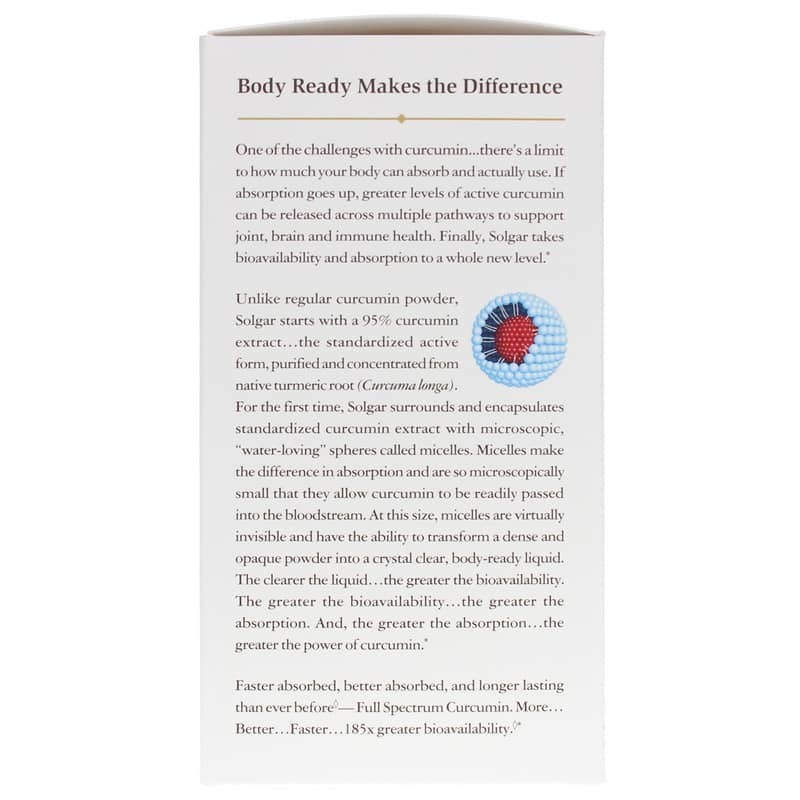 When ingested, phenols are believed to provide similar medicinal benefits in the body, including support for cellular health, liver health, and detoxification. 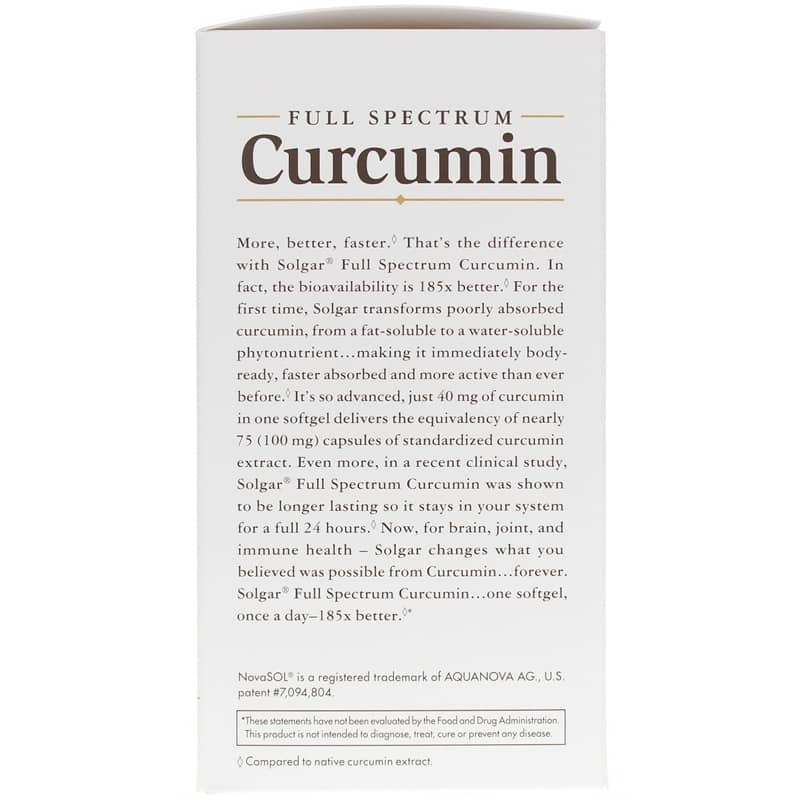 Experience Full Spectrum Curcumin and see if it makes a difference in your life. Ingredients: Full Spectrum Curcumin (polysorbate 80 [emulsifier], turmeric extract [curcuma longa] [rhizome]), gelatin, vegetable glycerin. Contains NO: GMOs, gluten, wheat, dairy, soy, yeast, sugar, sodium, artificial flavor, sweetener, preservatives or color. Adults: As a dietary supplement for adults, take 1 softgel daily, preferably with a meal or as recommended by a healthcare professional. NHC has been a asset to my health. I tried a sample of this and took it in the morning and realized within a few hours I couldn't feel my painful knees. So I bought a bottle and am very pleased. I'm in my early 60s.